This chapter presents what I call “Tools for Leaders.” The tools are vision, analysis, training, motivation, and stress reduction. Effective leaders apply them to their advantage. Vision is an end state that serves as a guide for choosing courses of action for the organizational or personal effort. Analysis is dissecting the whole into its parts so that you can study the mechanism. Training is acquiring knowledge, skills, or competencies in various ways to improve performance, productivity, and/or capability. Motivation is getting someone to do something they may or may not do on their own, causing them to act by initiating, guiding, or maintaining goal-oriented behaviors. Stress management requires analyzing stressors and taking action to mitigate their effects. 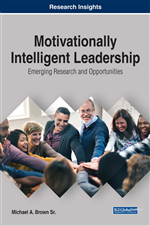 Emerging Research: Servant leadership theory is a powerful tool available to leaders enticing them to exhibit servant-oriented behaviors when making connections with the team. According to Flynn, Smither et al. (2016) dimensions of these behaviors include allowing another person’s priority to take precedence over your own, helping people grow and be accountable for their performance, helping the organization make a difference in the community, and emphasizing moral and ethical actions. Other dimensions include demonstrating positive personal qualities, building relationships that are focused on listening, demonstrating empathy, collaborating, and employing conceptual skills to help people make sense of team interactions. A serving culture contributes positively to reduced turnover and enhanced job performance. SOURCE: Exploring the Relationship Between Leaders' Core Self-Evaluations and Subordinates' Perceptions of Servant Leadership: A Field Study (Flynn, Smither et al., 2016). What is vision? Vision is a corporate or departmental statement of the meaning that the organizational unit is aspiring to and committed to. Simply put, vision is a star you can focus on. The organization needs equilibrium, characterized by balancing individual and organizational needs and ensuring operational stability within. Equilibrium is difficult to maintain in the confusion of daily work. Team members need a personal vision to maintain their balance, perspective, and direction. Personal vision is like the stars that help adventurers find their way at night. A group of people in a department can produce a consolidated, cohesive, inspired statement of the future they are committed to creating. Individuals in that group clarify what they are trying to become in their quest for personal meaning. That's why it's important to find out whether organization members have their own personal vision. If they do, try to relate those personal expressions of a dream to the organization's vision. If they don't, give them the time and encouragement to develop a personal vision. How do you create a vision? Where does it come from? Vision comes from effective leaders who continually examine the big picture and work to determine the best way to take advantage of what they see. They visualize where they want to go and convince their followers that it’s the right path. These leaders excite everyone around them to go along on a journey that will bring success to everyone involved.